The best cheap business class flights to San Francisco from London we found for a client in the past month were for an amazing £1,685. To get today’s best price simply complete the form on this page and we’ll get back to you quicker than you can say Golden Gate Bridge. Three airlines fly direct from London Heathrow to San Francisco; these are United, British Airways and Virgin Atlantic. 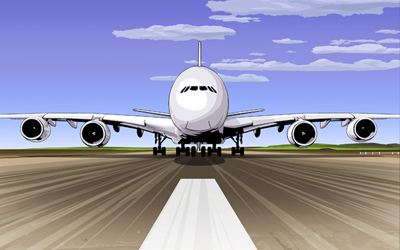 Virgin Atlantic utilises an Airbus A340 on the route, while British Airways uses a combination of a Boeing 747 and an Airbus A380. United flies to San Francisco using both a Boeing 777 and 747. Due to the A380 being the largest and most modern aircraft, we’d recommend booking this BA flight if available. The British Airways A380 features Business Class cabins on both the upper and lower decks, offering a total of 97 Club World seats in all. Reportedly the best seats are the window seats on the upper deck, which have extra storage spaces where you can store personal belongings. BA has invested £400m into enhancing its Club World product, introducing new bed linens and a restaurant-style dining experience for Business Class passengers. On the other hand if you book Upper Class with Virgin Atlantic you’ll have access to the trendy Virgin Atlantic Clubhouse at both London Heathrow and San Francisco International. At Heathrow the airline has its own Upper Class Wing, which boasts its own private security channel so passengers can beat the airport queues. The Upper Class suites have seats that convert into fully flat beds and 10.4” screens for watching entertainment. If you’re coming from the north of England, Virgin Atlantic also offers a direct service from Manchester Airport. Dubbed ‘Man Fran’ the route operates on a seasonal basis between March and October, with flights departing three times per week. One of the benefits of flying Business Class with Virgin Atlantic is you’ll have access to their chauffeur-drive service, which will whisk you from your home to the airport in a luxury vehicle. If you’re not flying Virgin Atlantic then there are numerous ground transportation options, including taxis, limos, shared-rides and shuttle buses. You can also hire a car from the airport’s car rental centre, or hop on the BART rapid rail, which will take you into the city. 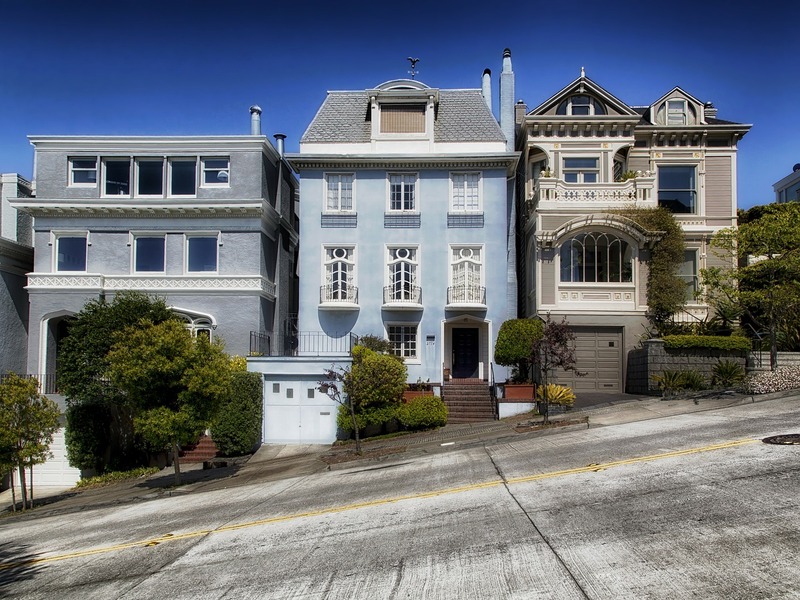 San Fran, or “Frisco” as some people like to call it, has no shortage of stylish, boutique stays. If you’re looking for somewhere original then we recommend The Clift, which fuses old world glamour with modern design. The lobby is incredibly bold and daring with an eclectic mix of furniture, including a coffee table from Salvador Dali and chairs from Ray and Charles Eames. Why not compliment your business class flights to San Francisco with a stay in the Hotel Vitale. It offers views of the Embarcadero waterfront and boasts a luxurious penthouse level spa with rooftop soaking tubs. Upon entering the lobby you’ll smell the scent of fresh lavender sprigs, and you’ll even be presented with lavender-scented hand towels at check-in. Alcatraz – Visiting one of the world’s most notorious prisons is definitely an interesting experience. However, if you wish to visit Alcatraz you should book well in advance, as the National Park Service has implemented a reservation system for over a decade and tickets sell out fast. You can make your reservation here. Golden Gate Bridge – San Francisco’s most iconic landmark is the Golden Gate Bridge, which connects the one-mile-wide strait connecting San Francisco Bay and the Pacific Ocean. It is no doubt one of the most beautiful bridges in the world and is the perfect spot for taking photos. Fisherman’s Wharf – If you like seafood then you’ll love Fisherman’s Wharf, which is home to lots of restaurants serving clam chowder, fish ‘n’ chips and other tastes from the ocean. The area is very touristy with lots of souvenir shops, but not to be missed on your visit to San Francisco. Insider tip: If you can’t start the day without a great cup of coffee, Blue Bottle Coffee originates from nearby Oakland and offers the best coffee in San Francisco! 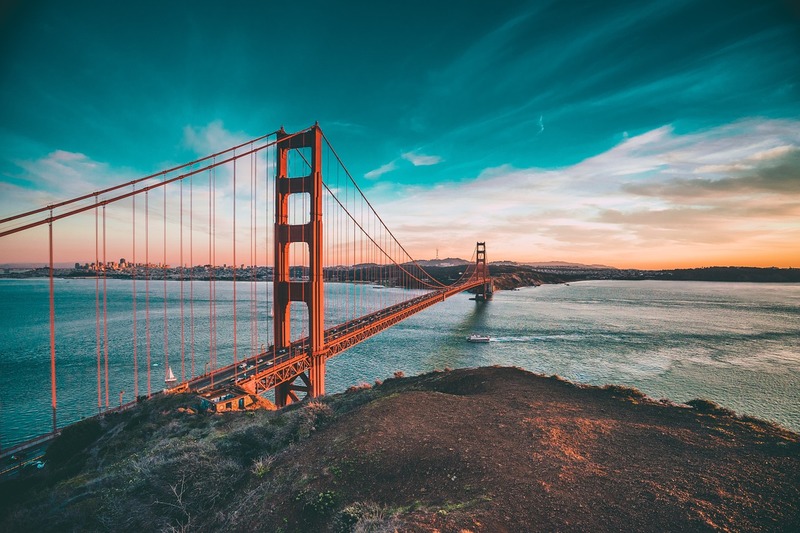 If you’re a British passport holder then you can enter the USA under the Visa Waiver Program and apply online for an ESTA, which will allow you to visit San Francisco for up to 90 days. San Francisco is known for its fog, so remember to pack a jacket, even in summer. Due to the low-lying cloud it can be cold and chilly in the city but warm and sunny just a few miles away.